Many ask: What about child victims of U.S. drone strikes? Last week, Michelle Obama joined the campaign to #BringBackOurGirls, for the hundreds of schoolgirls kidnapped by the Islamist group Boko Haram in Nigeria. The backlash came swiftly, with Twitter users calling out the administration's policy of using drones around the world. 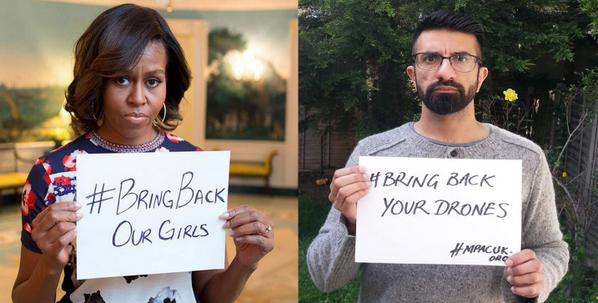 The hashtags were direct — #WeCantBringBackOurDead. 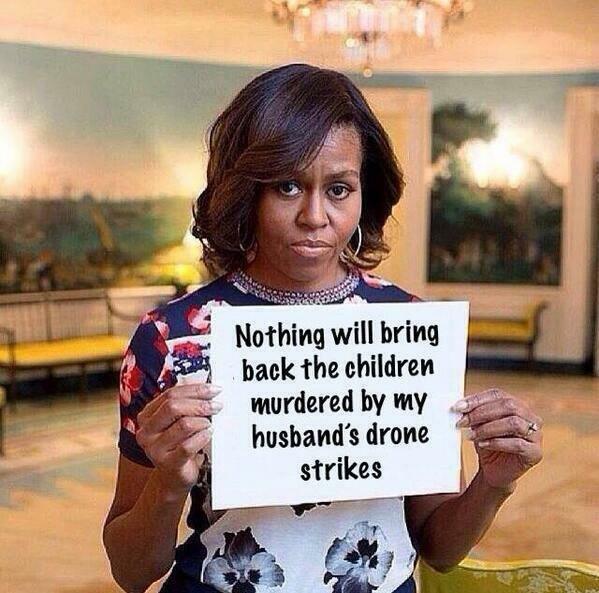 Some Photoshopped the sign Michelle Obama was holding in her Instagram pic. 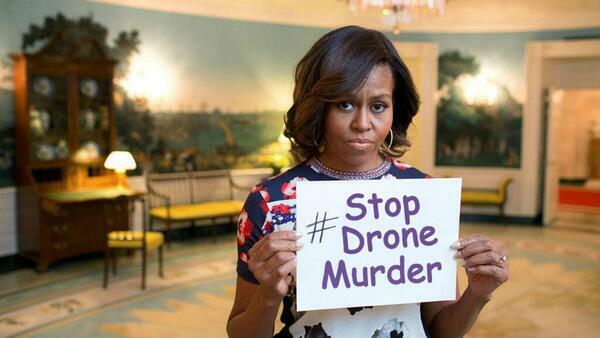 RT "My husband kills kids with drones." Here the Photoshopped image shows a giant picture recently laid out in Pakistan to draw the attention of U.S. drone operators to child victims. This image shows a picture of Abdulrahman al-Awlaki, a 16-year-old U.S. citizen killed in a drone strike in Yemen. 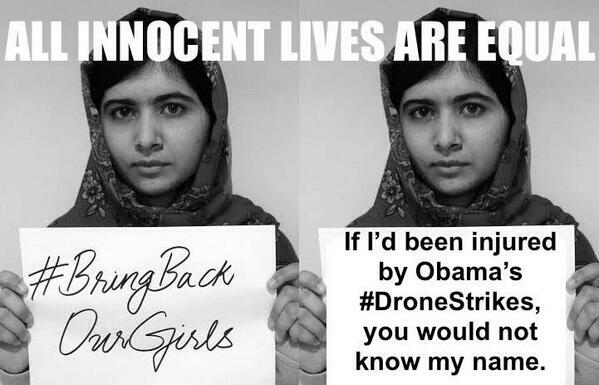 A final Photoshopped image shows Malala Yousafzai, the young Pakistani activist who has been active in drawing attention to the Nigerian schoolgirls, holding Photoshopped commentary on the drone strike campaign.